Is Yousuf Baig Mirza aka YBM involved in Dr. Shahid Masood Case? Furthermore, co-accused Rabbani reportedly returned a sum of Rs10.2 million against the dismissal of bail. Accused Roshan Mustafa Gilani also reportedly returned Rs8 million after his bail was rejected. 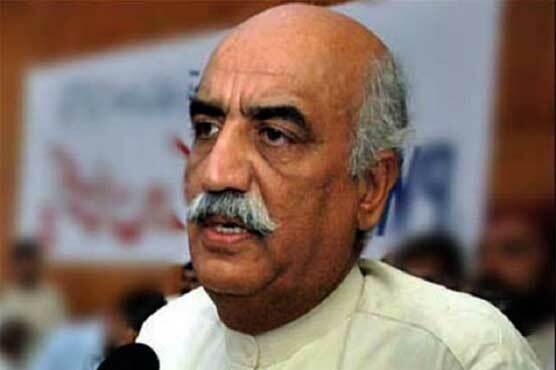 Both the accused remarked that Masood should pay the remaining amount. On the other hand, Masood’s counsel Advocate Shah Khawar said that his client’s name was not included in the first information report. He added that he had signed the documents prepared by the legal advisor while the inquiry committee declared Masood responsible for an agreement with the fake company when he was not included in the inquiry and had resigned. On 10 April 2007 Yousaf Baig Mirza took charge as MD PTV. He is a relative of Shahbaz Sharif and was appointed as MD PTV during the government of Nawaz Sharif. Considered close to the man of steel, he was surprisingly not sacked when Musharraf took over, since he simply switched loyalties to the new powers that be. Soon enough, however, Mir Shakilur Rahman of the Jang Group, threw the world at his feet and made him MD Geo TV. After making everyone at Geo (and associated with Geo) tear out their hair in frustration, he moved on as MD ARY. He didn't last long there and was soon snapped up by Mian Amer Mahmood for his newly launched Dunya TV. He functioned äs the Managing director of Pakistan Television industry for three-time in three different reigns. He started his career with the PTV channel which made him self-sufficient and which groomed him in a number of ways. His residency at PTV is viewed as the best time of PTV as he worked for the improvement of the State TV and his drives delivered productive outcomes. He assumed an indispensable job in the dispatch of Dunya News he was a piece of the Launch Team, at a key position there his endeavors brought positive outcomes as he figured out how to get direct propelled in a brief timeframe that too effectively. He was the establishing Chief Executive Officer (CEO) of Channel 92 HD he drove the start-up group and effectively inaugurate the channel in a short span of time. He was last working as CEO of Public News. Less than one year after he joined Express Media Group as Chief Executive Offier, Yousaf Baig Mirza tendered his resignation from the company. In late August, Express News removed three other employees – at least two of whom are considered part of Yousuf Baig Mirza’s ‘camp’ – current affairs host Dr Moeed Pirzada, political ‘analyst’ Fawad Chaudhry (formerly associated with PPP) and host of Takraar Imran Khan. Soon after taking over he has cleared himself from the corruption he had committed in election 2008, an reconstituted inquiry committee on financial scam of agreement with international sport channel for ICC Cricket cup 2011. ISLAMABAD, April 2011: Salaries in the electronic media are second to none and this is more than evident from the contract of the head of Pakistan Television. In addition to a monthly salary of Rs1.2 million, Yousaf Baig Mirza, the managing director of Pakistan Television, can claim a ‘three per cent’ share in the state-run corporation’s ‘advertising’ revenue. A copy of the PTV managing director’s contract, which is available with Dawn, reveals that he is entitled to three per cent of the monthly advertising revenue earned by the television network, over and above the average monthly revenue of the past year that ended in June 2010. Mr Mirza is also entitled to a Rs50,000 annual increment in his three-year-long contract. Mirza took over the reins of the PTV, replacing Arshad Khan, in Oct 2010. A senior official who is aware of the details of the contract finds it unusual. “Mr Mirza’s contract appears to contradict the federal government’s assertions that the latter has been facing a financial crunch for the last two years,” he says. The senior official finds the conditions related to the three per cent share of the advertising revenue problematic.He points out that the contract stipulates that “performance-linked pay will also be calculated and paid on monthly basis and will be paid to Mr Mirza in the subsequent month”. The official explains that advertising fees are paid to the state-run channel after a span of 90 days, which is standard, while the payment of commercial revenues can take six months or more. But as Mr Mirza is to be paid in the ‘subsequent’ month, “Will PTV or the government pay the commission amount from its own coffers”. He adds that several commercial and advertisement payments to PTV were stuck for the last many years; against this backdrop the payment to Mr Mirza in the subsequent month, he says, is of concern. This, however, is not the only odd thing about this clause. A close study of the contract reveals that though this three per cent share is defined as “performance-linked pay”, yet the only ‘target’ that Mr Mirza has to meet is to earn more revenue than the previous year — 2010. Asked about his contract, he said: “It’s not the total advertising revenue; instead it’s the incremental revenue of the total profit which I will be given at the end of the year.” He added that “there is nothing wrong with the contract. I was getting Rs2.5 million during my previous assignment at Dunya Television.”“Everyone is paid accordingly and that is deserved,” were his remarks in response to a question. The state television earned Rs2.3 billion during 2004-05, which too was unprecedented. This happened under the tenure of Arshad Khan. During the last tenure of Mr Mirza, the earnings were Rs2.2 billion during 2007-08. 2018 Morning Mail Supreme Court of Pakistan has taken notice of anti- state activities and massive corruption in secret funds by a former MD State TV (PTV). According to details, Former Managing Director Yousaf Baig Mirza has been conspiring against the Pakistan Army and has pillaged billions of rupees. Secretary Ministry of Information and Broadcasting and MD PTV has also been summoned by the apex court. Chief Justice of Pakistan while expressing his serious concern over an application against the former MD PTV passed an order directing the concerned authorities to file their reply before Aug 20.
competent to do so. It further unfolded that the then PTV Chairman Pervaiz Rashid had also share in it. Ample evidence has been provided against him and in support of the accusations of getting secret funds. Earlier, according to the record, he published ads of “ROGUE Army” on July 13, 1999 against Pakistan Army in a British daily “The Times”. The ads got published after the “Kargil War” and during an overwrought between the then Army Chief and Nawaz Sharif. Yousaf Baig also visited Britain before the publication of the ads, but the objective of his visit could not be known. Sources said that after his exit from the PTV, he again joined a private TV channel, wherein he was responsible for protecting Indian interests. Sources also revealed that he has been facilitating Indian journalists who have been propagating against Pakistan. He had not only made them visit Pakistan but also helped them get visas for Pakistan. The Supreme Court of Pakistan sought reply from the information ministry after going through the contents of the applications. The National Accountability Bureau (NAB) on Wednesday authorised the verification of a complaint against Pakistan Television (PTV) Managing Director Yousaf Baig Mirza over his alleged involvement in corrupt practices and misuse of authority. 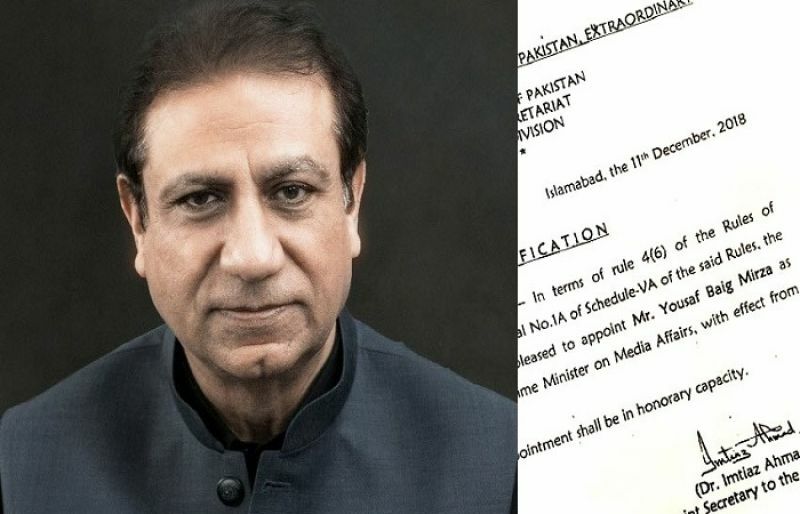 According to an official statement released on Wednesday, NAB Chairman Adm (retd) Fasih Bokhari authorised the inquiry against Mirza and other PTV employees. An executive board meeting of the bureau also approved the filing of references against various people – namely one Sarmast Khan Qalandar who in connivance with 16 officials of QESCO embezzled an amount of Rs117.84 million through corrupt practices and misappropriation, the statement added. The board also approved filing of a reference against General Secretary Pakistan Railways Cooperative Housing Society Quetta Raja Muhammad Irfan for allotting plots worth Rs97.95 million and on considerably lesser rate than the market price. Published in The Express Tribune, March 15th, 2012. Incumbent Managing Director of state run television known as Pakistan Television Corporation (PTV) Muhammad Maalik may be replaced with former MD PTV Yousaf Baig Mirza, claim sources. According to sources, former MD PTV Yousaf Baig Mirza has been using all available contacts to win the slot that will stay vacant after March 1, 2016 as contract of incumbent Managing Director Pakistan Television Corporation (PTV) Muhammad Maalik will be expired on February 29, 2016. Yousaf Baig Mirza had been MD PTV a number of times and he was the choice of Prime Minister Mian Nawaz Sharif who brought him from United Kingdom and placed him as MD PTV first time during his 97-99 tenure. However, Mirza served army rulers successfully after Sharif’s government was booted out. Baig became a best choice for former President Gen. Musharaf. Baig was consequently opted by PPP government for a long time. He is a man who has served all political and apolitical circles of Pakistan and knows all passages those go to corridors of power. Sources claim that Ministry of Information and Broadcasting has yet not moved Summery for the extension of the contract of Muhammad Maalik.Government has three options in hand including advertising the post of MD PTV in newspapers but sources claim that Yousaf Baig Mirza has become a choice of PML (N) government. The only thing that can go against Yousaf Baig Mirza is an audit report of the the Auditor General of Pakistan for year 2014 that indicated 773 million financial loss in one year due to alleged financial mismanagement, corruption and nepotism. The report said that corruption and nepotism was embedded in the corporation. Meanwhile, circles close to Muhammad Maalik are confident and believe that moving Summery for extension is not an issue at all and it can be done within a day and Chairman PTV Attaul Haq Qasmi is very comfortable with Muhammad Maalik so the Federal Minister of Information and Broadcasting Senator Pervaiz Rasheed. Islamabad (Pakdestiny) After ‘sinking’ 92 News of Kissan Ghee group, PTV famed Yousaf Baig Mirza has embarked on his new destination – joined Geo News.“The 92 News management blames Mirza for his failure to lift the channel despite giving him a huge salary package,” sources in C-92 told Pakdestiny. They said Mirza commonly known as Yousaf Baig Mirza was on a ‘mission’ to ‘sink’ the channel. “Yousaf Baig Mirza also failed get advertisement for the channel besides he hired his blue-eyed on some important slots who also added to the failure of the channel. Earlier, Yousaf Baig Mirza remained associated with PTV, Express TV and Dunya News on top slot. He will be a managing director at Geo News. Let’s see how long he goes with Mir Shakilur Rehman. ISLAMABAD: The federal government has decided to appoint PM’s Special Assistant on Media Affairs Yousaf Baig Mirza as the chairman of the state-run Pakistan Television Cooperation (PTV), Pakistan Today has learnt. Sources said that the matter will be taken up for deliberation on Tuesday. Yousaf Baig Mirza worked at the state-run television as the managing director (MD) thrice under different governments. Nawaz Sharif appointed him as the MD in 1999. Later, former president General (r) Pervez Musharraf posted him on the same position in 2007. Finally, former prime minister Yousaf Raza Gilani appointed him as the MD in 2010. Currently, he is serving as the prime minister’s special assistant on media affairs. Since the incumbent government took charge, the state-owned television is in crisis. This is partly due to the economy and partly due to the tussle between Federal Minister for Information and Broadcasting Fawad Chaudhry and PTV MD Arshad Khan. The latest appointment has the potential of disturbing the affairs of the state-run television because both Yousaf and Arshad have good relations with the premier. The power tussle at PTV is notable for straining relations as can be seen from Fawad-Arshad spat. Sources said that the prime minister had approved Yousaf’s appointment last week. The information ministry would seek approval for appointing Yousaf as the board member and then the board would approve his appointment as the chairman. sawal ye hey k Yousaf baig mirza kion advisor hey IK ka? uski chokhri saadia afxaal kion IK k itna kareeb hey? sarey musharraf vali team kion IK k ird gird jama hey? genuine insafians ko kion peechey dhakail dia gaya hey. saree ahm vizartoon ohdoon pe musharraf team qabiz hey kion?